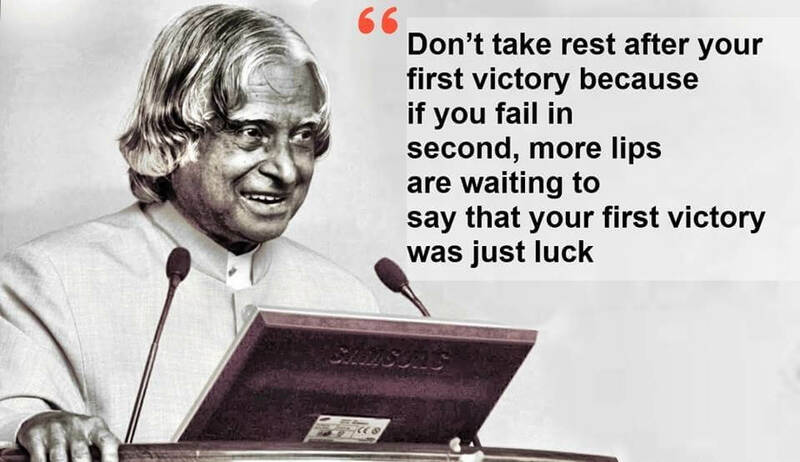 Avul Pakir Jainulabdeen Abdul Kalam better known as A.P.J. 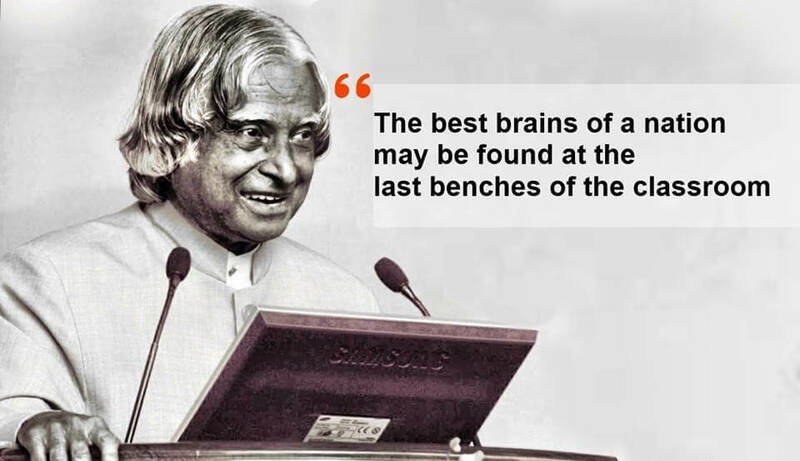 Abdul Kalam; was the 11th President of India from 2002 to 2007. 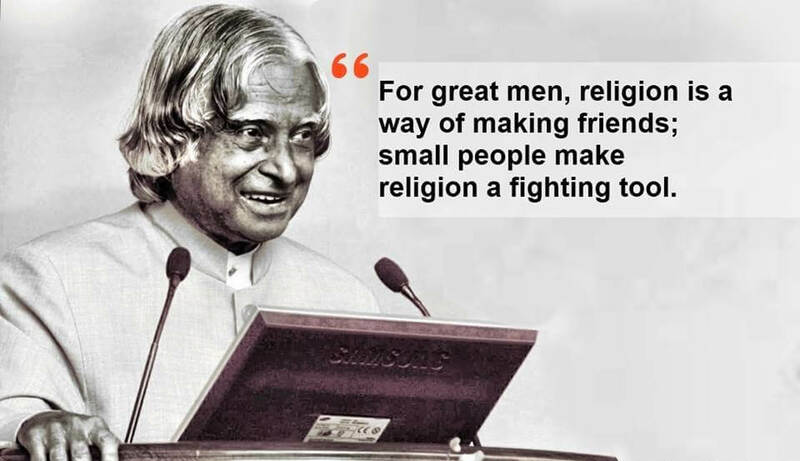 Kalam was born on 15 October 1931, a middle-class Muslim family in Dhanushkodi village (Rameswaram, Tamil Nadu). His father, fishermen used to rent the boat and Kalam home condition was not much better. How to get food 2 times also was much the same. 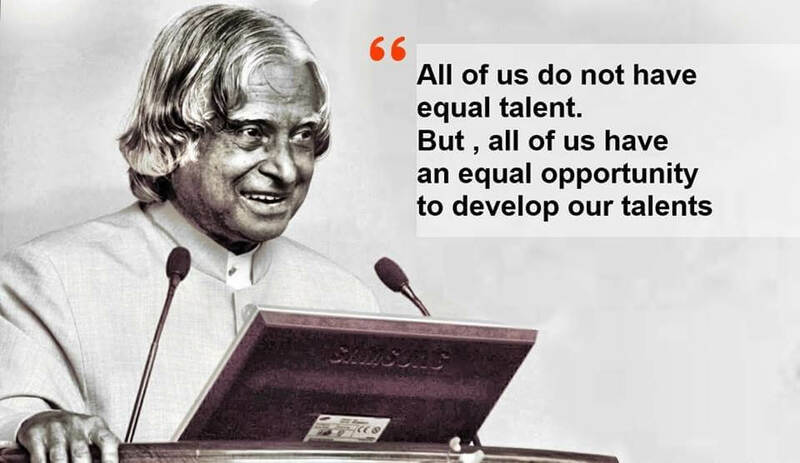 The economic situation is not good Kalam had to work as a child. He used to work selling newspapers and magazines to help your house members after coming back from school. After so much labor was also used to take care of the studies and their lives in hunger always something new to learn. He schooling was from the same village and took admission at St Joseph’s College then Trucilaplli. Where he Grajuaesn physics in 1954. His reading and despite not stop, he studies due to bereavement write and economic situation is not good also support completion of their house members in recognition of their hard work and dedication and made further studies. They come to Madras in 1955 to study. She was graduated in space science from Madras Institute with technology in 1958. Subsequently, he was elected as a scientist in DRDO (Defence Research And Development Organisation) There he began his career by making a helicopter of the Indian Air Force, but by working in DRDO did not get satisfaction because there was a committee working on it. He wanted more. This was followed by the transfer ISRO (Indian Space Research Organization) in 1969. Meanwhile, he was elected as a satellite launch project director of India. In the completed project, he very well and then began to realize that I may make this work. A.P.J. Abdul Kalam, popularly known as “Missile Man” He is a Great Person Dr. APJ Abdul Kalam are so nice beautiful and inspiration to the whole world! And all Indians. Don’t forget to share these quotes with your family friends colleagues. 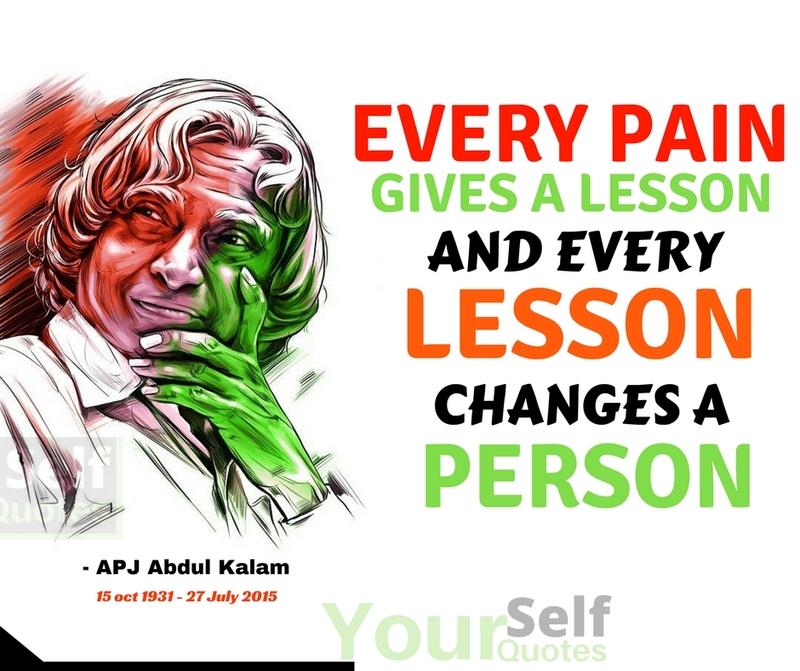 I love you Respected Legend of India. Inspired by you, I alway feel motivated to move ahead. 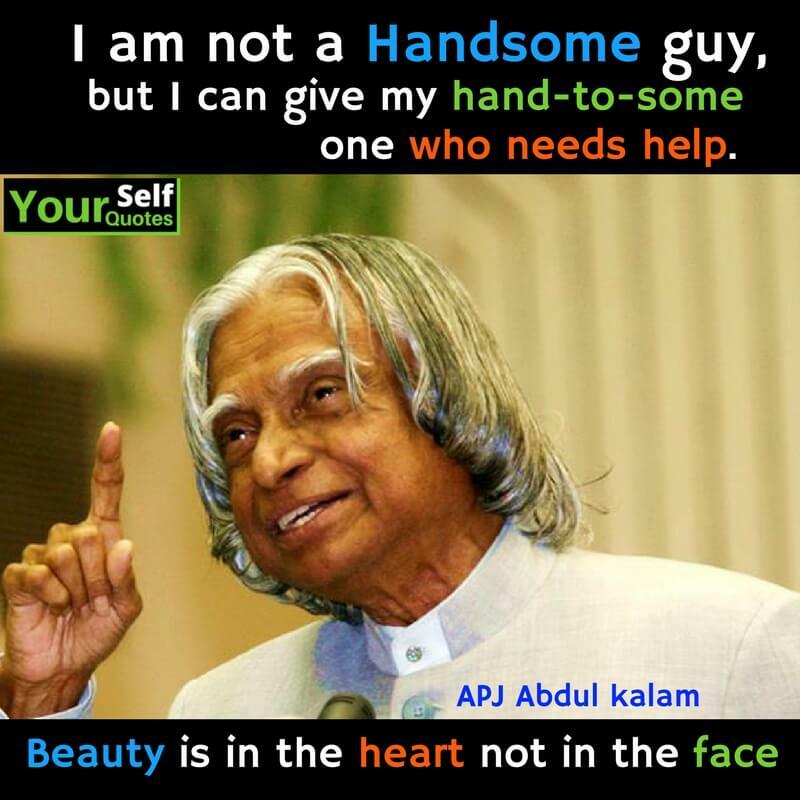 THANK U FOR GIVING THIS ALL KNOWELEDGE…..
your are the world’s Amazing man. because they have clearly stated how to achieve human goal.i took what i needed for this life. 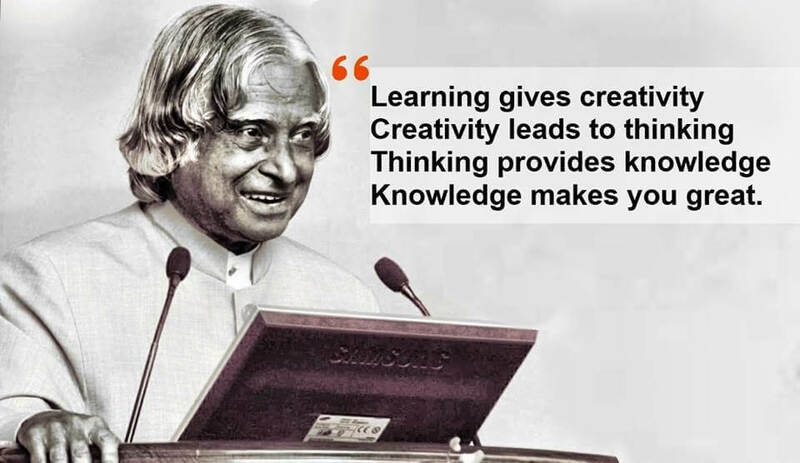 thank you Sir giving all knowledge of all people. 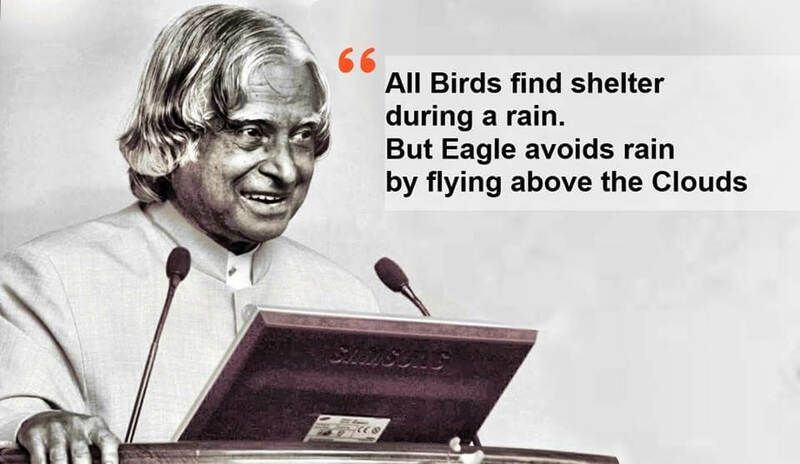 Lots of quotes are very inspretional. 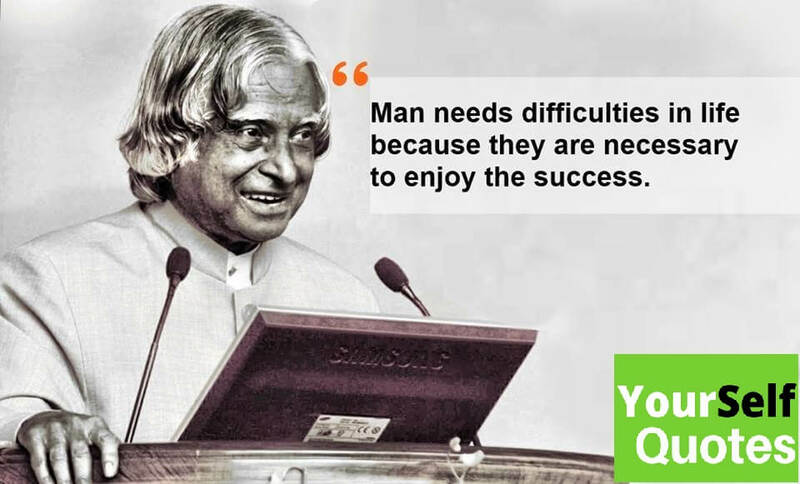 This one is my favorite ”Man needs difficulties in life because they are necessary to enjoy the success. 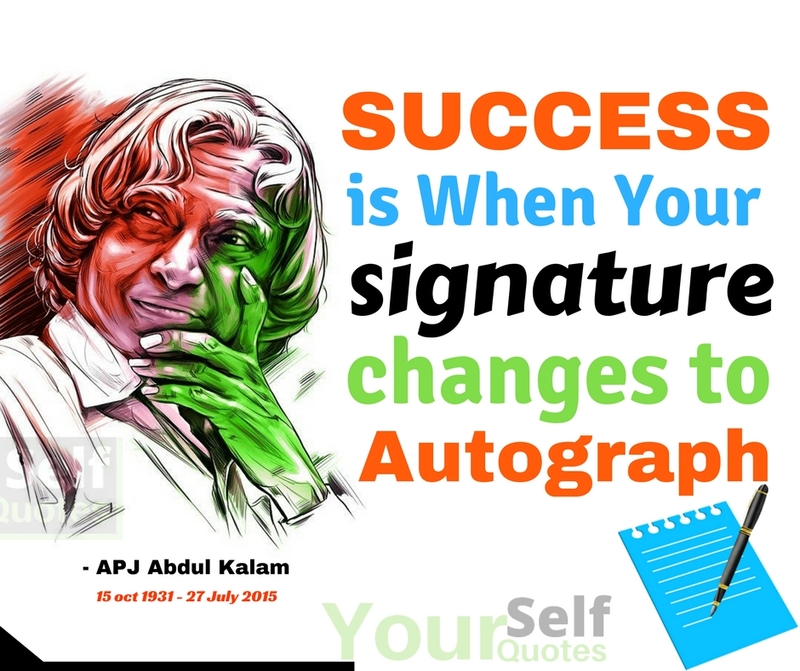 bhut hi bdiya abdul kalam ke quotes h. Sabse bdiya quote hai “Jab aapke signatures autograph me badal jaye” sach me bhut hi mahan insaan the Abdul Kalam Sir. thanks for providing a good thought.